This command is applicable in a case when multiple links exist between BGP neighbours. Even if physical interface fails, the device still sends BGP packets. What about EBGP connection with loopback interfaces? Anyway, there is recommended to establish EBGP connection through directly connected physical links. New year, a new version of Huawei Network Simulation Platform eNSP has been released. Prefers the route with the largest PreVal. PrefVal is a Huawei-specific parameter. It is valid only on the device where it is configured. Prefers the route with the highest Local_Pref. Prefers a locally originated route. A locally originated route takes precedence over a route learned from a peer. Prefers the aggregated route. The preference of an aggregated route is higher than a non-aggregated route. Prefers the local route that is manually aggregated. The preference of the local route that is manually aggregated is higher than that of automatically aggregated. Prefers the local route that is imported by using network command. The preference of the route that is imported by using the network command is higher than that imported by import-route command. Prefers the route with the shortest AS_Path. Compares Origin attributes, and selects routes whose origin types are IGP, EGP, and Incomplete respectively. Prefers the route with the smallest MED. Prefers the routes learned from EBGP. 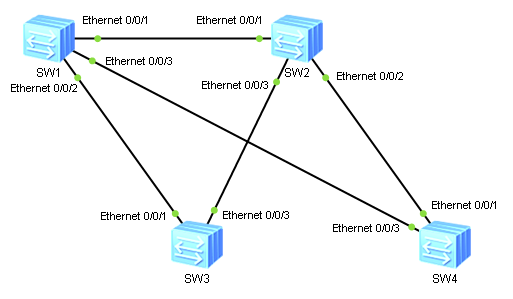 The preference of an EBGP route is higher than an IBGP. Prefers the route of an IGP with the lawest metric in an AS. If load balancing is configured and there are multiple external routes with the same AS_Path, load balancing is performed according to the number of configured routes. Prefers the route with the shortest Cluster_List. Prefers the route with the smallest Originator_ID. Prefers the route advertised by the router with the smallest router ID. Compares IP addresses of its peers, and prefers the route that is learnt from the peer with the smallest IP address. GVRP stands for GARP VLAN Registration Protocol and is a GARP application that registers and deregisters VLAN attributes. It uses Generic Attribute Registration Protocol (GARP), to maintain and propagate dynamic VLAN registration information, throughout GVRP enabled devices on the network. GVRP lets a device to propagate local VLAN registration information to other participant devices, and to dynamically update the VLAN registration information from other devices to its local database, including active VLAN members and through which port they can be reached. All GVRP participants on a bridged LAN maintain the same VLAN registration information. The VLAN registration information includes both manually configured local static entries and dynamic entries from other devices. Normal – allows dynamic VLAN registration and deregistration on the trunk port, and allows the declarations for dynamic and static VLANs to be sent. Fixed – prevents dynamic VLAN registration and deregistration on the trunk port, and allows only the declarations for static VLANs to be sent. Forbidden – prevents dynamic VLAN registration and deregistration on the trunk port, and allows only the declarations for VLAN 1 to be sent.